To me, Jane Austen is brilliant. Her books are well-written with a sly sense of humour. Her heroines are well-developed (often more so than her heroes). 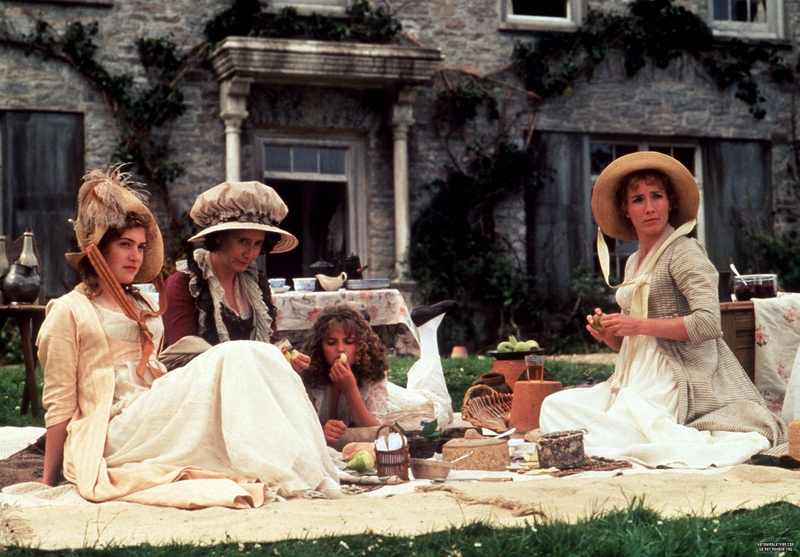 So today I'm looking at the sisters from my favourite two Austen novels: Pride and Prejudice and Sense and Sensibility. Sense and Sensibility was Austen's first published novel and Pride and Prejudice remains her most popular one. Both feature families of daughters whose precarious position in society is threatened by their lack of money. 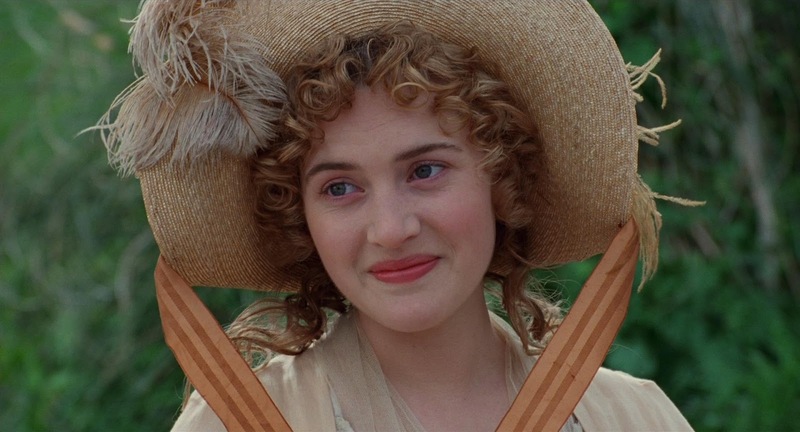 In Sense and Sensibility, Elinor and Marianne Dashwood lose their home since the laws of inheritance give the entire estate to the oldest son. They move to Barton Cottage in Devonshire on a very limited income and proceed to have a series of romantic adventures, culminating in marriage for both sisters. In Pride and Prejudice, there are five sisters in the Bennett family but the book focuses mainly on three: Jane, the beautiful one; Elizabeth, the smart one; and Lydia, the flirt. As with Sense and Sensibility, the family is in peril of losing their home once the father dies, increasing the pressure for each of the daughters to make a suitable match. Although all three end up married, their paths to matrimony are all quite different. There are a number of similarities between the books. Both feature a man trapped in a marriage with a silly and frivolous wife (Mr. Bennett and Mr. Palmer), both feature a wild courtship by a scandalous young man (Wickham and Willoughby) and both have a strong undercurrent which emphasizes the importance of good character and highlights the perils of nineteenth century British society and how quickly a reputation can vanish. But there is also an undercurrent of hope that someone who is also of good character can see past gossip and scandal to recognize the good character of the heroine. Elizabeth Bennett is certainly one of the most popular and well known heroines from Austen's work. She's clever, pretty and never afraid to speak her mind. I've always found her relationship with Mr. Darcy to be secondary to the personal growth that she undertakes. At the beginning of the novel, she is not inclined to take things very seriously. Her father has encouraged her to see the inappropriate behaviour of her mother and younger sisters as a source of entertainment. She accepts a great deal on face value, assuming Darcy is a snob and believing Wickham's tales of ill-use. As the novel progresses, she realizes that she needs to start thinking about things more critically. She realizes that her family's antics are costing them dearly in society and that all of the sisters may end up paying the price for them. She starts to unravel Wickham's web of half-truths and lies. She matures as the novel progresses, becoming a thoughtful and intelligent young woman. Jane and Lydia represent two opposite facets. Jane is ethereal, bordering on angelic. She possesses almost every Regency virtue. She is kind, quiet, beautiful and reserved, providing no inappropriate behaviour for the gossip-mongers to seize on. Yet that prized reserved nature nearly ends up destroying her chance at happiness. Mr. Darcy is able to convince Mr. Bingley that Jane does not truly care for him and as a further nail in the coffin, points out the scandalous behaviour of the Bennett family. It is only through Elizabeth's intervention that Mr. Darcy realizes the error of his ways and the two lovers are reunited. Jane never truly changes from the first page to the last, it is only through the intervention of others that she achieves her goals. Lydia is the youngest of the Bennett sisters and appears to have no thought in her head other than pursuing whatever pleasure seems like a good idea at the time. She chases after the men of the regiment, not with a goal of marriage, but seemingly just to collect admirers. She runs away with Wickham to London and is discovered living with him. With Mr. Darcy's help, the couple is forced to marry and Wickham is given funds to ensure success in his military career. Lydia is shallow, vain and apparently thoughtless. Like Jane, she doesn't change through the course of the novel and it is only through Mr. Darcy's intervention that her ending is not more bleak. The sisters in Sense and Sensibility are much more developed. Elinor, like Jane, is a proper English lady who thinks before she speaks and avoids giving offence. But unlike Jane, Elinor assumes responsibility for her family. She is the one who finds them a place to live within their budget, who manages the household accounts and servants. She deals with her mother's and Marianne's vapours and struggles to keep the family respectable. It is heart-breaking to watch as her love for Edward seems to shatter on the rocks of his family's opposition and a previous secret engagement. Yet Elinor always seems to find the strength to soldier on, doing what is right even when it tears at her heart. In the end, Edward is freed to marry her. Marianne begins as a young girl full of passion and impulse. She is unabashedly devoted to Willoughby, sparing no doubt as to her affections. 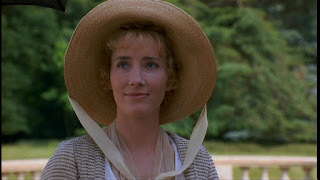 She scorns the more mature and dignified Colonel Brandon as a suitor and again is not shy to show it. But when Willoughby abruptly abandons her, she is left to flounder amid rumours and scandal. Slowly, she begins to realize that despite the intensity of her feelings, there is no guarantee that love will be enough to win the day. An illness leaves her near death, but as she slowly recovers, she finds a balance between her passion and society's expectations. 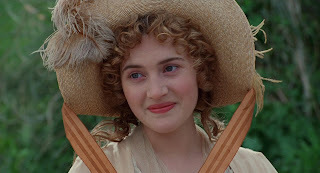 She discover a true affection and kinship with Colonel Brandon, eventually becoming his bride. Austen clearly saw the flaws in the rules of British society and in the way courtship was expected to progress. Couples were expected to form a suitable lifelong attachment without exposing themselves to scandal and do it through a series of public balls, dinners and entertainments, all highly chaperoned. But she offers a ray of hope to the young ladies who must have been overwhelmed by the restrictions and expectations. If one is of good character and insight, then it is possible to overcome any difficulty or objection and find true happiness. Of all the marriages, only Lydia's has a foreshadowing of doom lurking over it. The others can all be presumed to have a happily ever after, regardless of wealth. 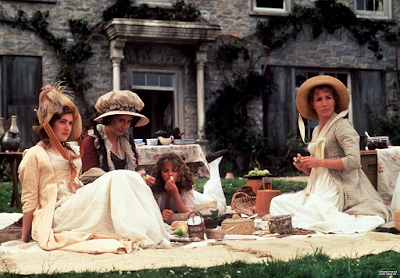 Virtue will be rewarded in Austen's world, no matter how bleak the situation may seem.